"Western Star, a young band from Baltimore is one of the most intensely, straight up rock and roll bands I've heard this year." "What sets them apart from a lot of the others are their tremendous hooks and choruses. At times it's hard to tell whether you're listening to a punk song, a heartland rock ballad, or a '70s-era metal rager. The melding of all three creates excellent results." "These dudes shred like Maiden with a true cow-punk back end...'Fireball's the record you put on as you're heading out on the town to tear some sh*t up with your buddies. 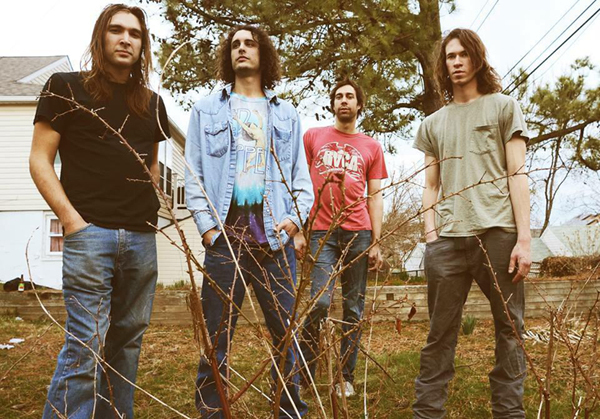 Calling on the ghosts of the real Thin Lizzy (RIP, Phil), the edge of the Pixies, and the bouncy alt-country of the Old 97's, the band's freshmen offering captures all that, on street meth." 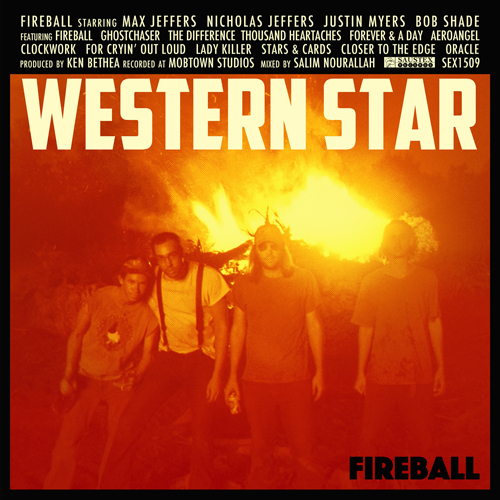 "There's a wonderfully retro feel to 'Fireball', the debut album from Baltimore-based rockers Western Star. They've cultivated a classic garage rock sound, with just a hint of alt-country twang..."
Western Star's Fireball is wildcat scream, guitar, and driving rhythms; Produced by Old 97s' lead guitarist Ken Bethea and with Salim Nourallah handling final mixes the album was tracked over five days in Baltimore at Mobtown Studios, this record is their first full length effort, and it will be released November 20th via Saustex. This record delivers powerful vocal hooks, with bits of Van Morrison, Joe Cocker and Frank Black from Max. Clever songwriting from both Jeffers Brothers and Nick's off kilter voice bring weird and cool elements to the mix. 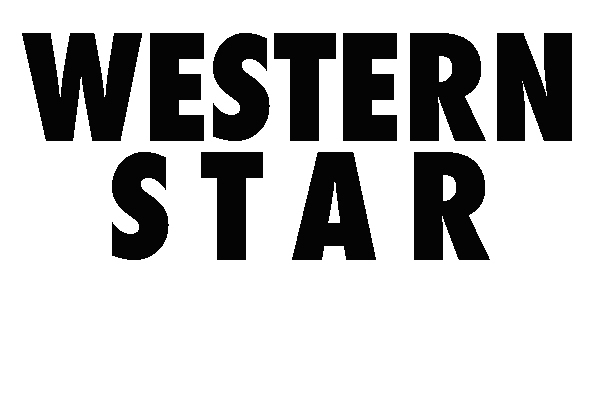 Western Star is part East Coast edge, part Texan, and a whole load of passionate guitar energy. Inspired by the Old 97's, The Pixies and Thin Lizzy, these boys have a sound that's a little country, a little punk and all rock’n’roll. They've forged a style that is both innovative and classic. In addition to touring up and down the East Coast and across the Southern U.S., they've worked through the first two years as a band helping out with construction projects on the Jeffers family ranch in Tyler, Texas, while living and rehearsing in a little white house on the ranch. Bouncing back and forth between the ranch and their home base of Baltimore they continuously work, rehearse and prepare until it's time to hit the road again. Frontman Max Jeffers started his first band at 12 years old in Broadway, Virginia and began playing shows in backyards, basements, pizza shops, rented churches and abandoned schoolhouse gymnasiums. In one such schoolhouse, back in the mountain hollers of Bergton, Virginia, Max met lead guitarist Justin Myers. After the show, Justin handed over a demo of his band, sparking a long lasting musical relationship. They've been best friends and on and off band mates ever since. In high school they played countless hours of music and partied in corn fields together. Justin moved up to Boston in 2011 to play and record with Max and longtime drummer Keenan Carroll (Lord Almighty, Brunt of It). They all did some time living in the Rugg Road warehouse, notorious for its wild underground shows and artist and musician residents. After recording some tracks at Berklee College of Music (Max's alma mater) they toured the U.S. as a duo in 2012. The energy you see and hear on stage between the two has been a long time in the making. They started Western Star soon after in 2013. Two months after hard touring with Justin, Max relocated to Baltimore and began writing with his brother Nick, who had recently started working on his own set of acoustic songs. That spring they rented out a dingy rehearsal space in East Baltimore to fool around with being loud. One hot and humid day, while drinking Cokes in the parking lot, the brothers discovered drummer Bob Shade loading gear out of a van. When asked about his availability for getting together to play, Shade inquired as to which day of the week rehearsals were. The brothers looked at each other and laughed; they spent every day after work at the space. Every day seemed to suit Bob just fine. He had been playing in bar bands around Fell's Point and was itching for a creative outlet that allowed for the wild abandon he craved. The missing piece of Western Star was in place. The boys traveled that summer to East Texas and began forging tight bonds working on the family ranch. Driving tractors and dump trucks sunup to sundown and rehearsing every night, they dug a 16 acre lake in less than two months, and built miles of fence. Serious blood, sweat and tears went into the songs and relationships that make the band. After working, practicing and finding their sound, Western Star jumped headlong into playing as many shows as possible: Texas to Baltimore, Baltimore to Boston. Regularly gigging over the past two years, they've opened up for Old 97’s at a sold-out 9:30 Club in Washington D.C., are able to pack the Ottobar in Baltimore, and, hitting Manhattan's Mercury Lounge early on as a headlining act, Western Star has been rocking nightclubs in Philadelphia, Wilmington, Asbury Park, Baltimore, Harrisonburg, Virginia Beach, Raleigh, Greensboro, Nashville, Mobile, New Orleans, Shreveport, Tyler, Dallas and Austin, getting around and doing two week legs and weekends as much as they can handle.